We identify genes that control development of liver and pancreatic cells in the embryo. We then unravel how dysfunction of these genes in adults causes disease and how disease can be treated by restoring cell and gene function. The form and function of cells differ from one organ to the other. The acquisition of organ-specific properties of cells is called "cell differentiation" and this process mainly occurs during embryonic development. 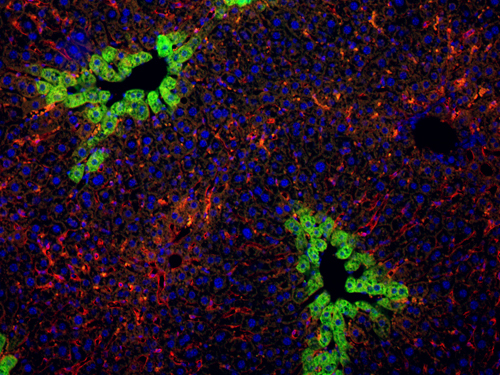 Using transgenic mouse models and human tissue samples we have identified genes that are essential for normal differentiation of liver and pancreatic cells. In parallel, we found that dysfunction of these genes in adults is associated with diseases such as liver or pancreas malformation, metabolic anomalies and cancer. 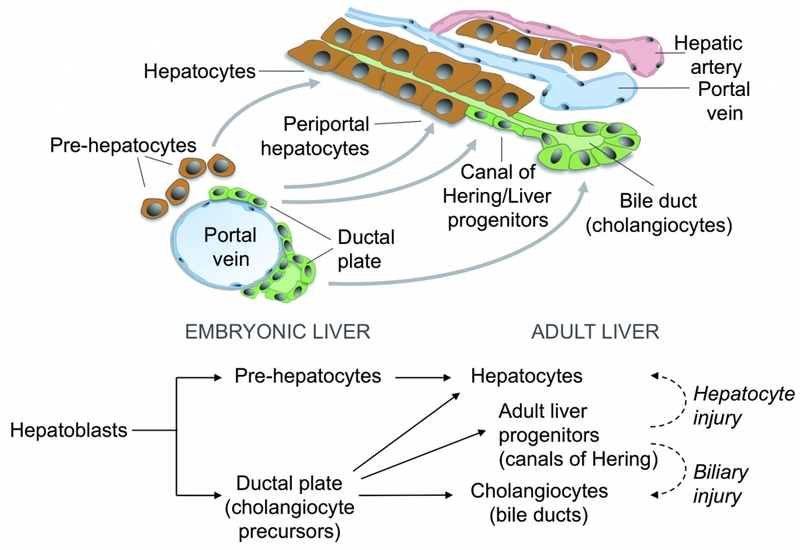 The cells that initially constitute the fetal liver are called hepatoblasts, and these cells progressively give rise to hepatocytes which exert the metabolic functions of adult liver, or to cholangiocytes which form the bile ducts. We have identified genes that determine how a hepatoblast becomes either a hepatocyte or a cholangiocyte, and now investigate how dysfunction of these genes impacts on disease. First, in liver cancer, cells change their differentiation status while converting to malignant cells, and we investigate how genes involved in cell differentiation regulate this conversion. Second, a number of metabolic anomalies of the liver are expected to be cured by cell therapy which consists in administering in vitro-produced hepatocytes. We collaborate with scientists to optimize in vitro production of hepatocytes by contributing our knowledge on liver cell differentiation. We have also identified genes that are critical for normal differentiation of pancreatic progenitor cells to the main cell types of the pancreas, namely endocrine cells which include insulin-producing cells, acinar cells which secrete digestive enzymes, and ductal cells which delineate the pancreatic ducts. Similar to liver cancer, pancreatic cancer is initiated by changes in the differentiation status of pancreatic cells. 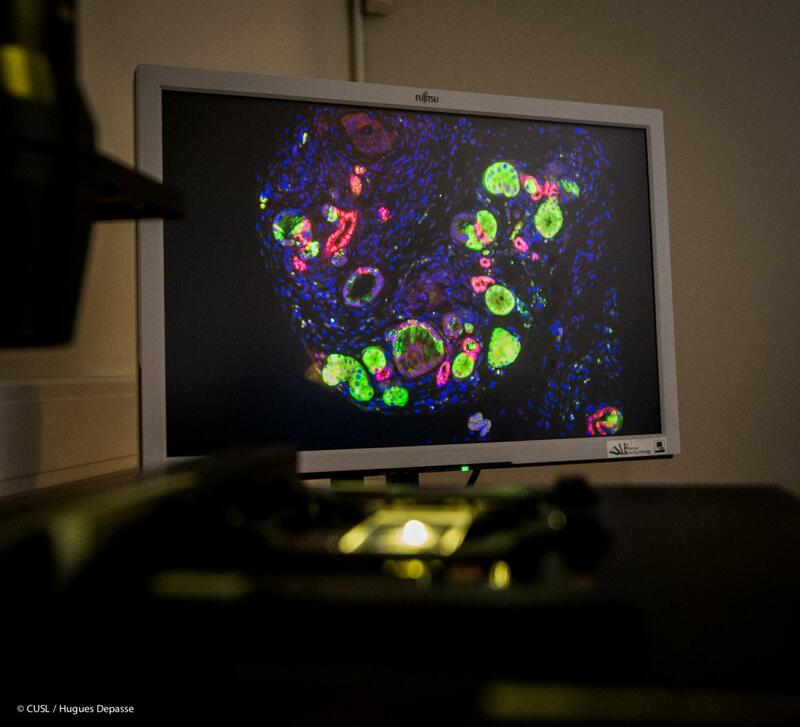 We now investigate how genes control such changes and determine which cell types are at the origin of pancreatic cancer. 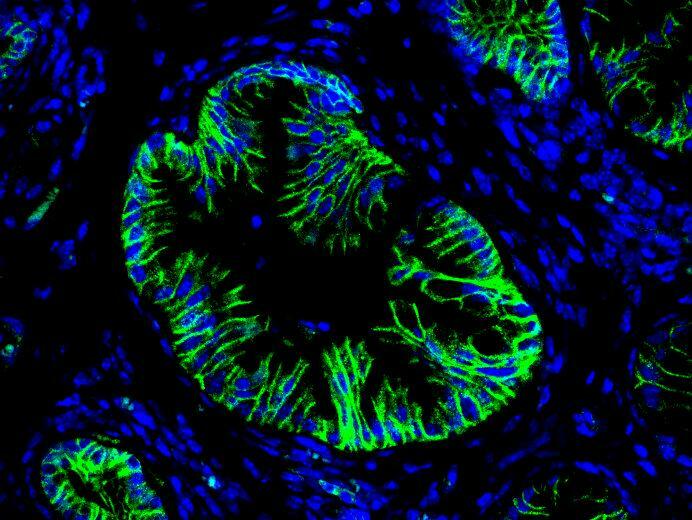 Unraveling how tumors develop in the pancreas and liver is expected to improve early diagnosis of cancer, eventually leading to early and more efficient therapy. Cholangiocytes delineate the lumen of the bile ducts and modify the composition of the bile. We investigate transcription factors and microRNAs that control cholangiocyte differentiation and bile duct morphogenesis. In this context, we found that biliary development proceeds according to a unique process characterized by transient asymmetry. In collaboration with clinical centers, we investigate how the knowledge gained from our fundamental studies can be translated in the understanding of the pathophysiology of human biliary diseases including cholangiocarcinoma. Like the liver, the pancreas develops as an outgrowth of the endoderm. Pancreatic progenitors derived from the endoderm form two buds (dorsal and ventral) which later fuse to form a single organ. Within these buds the progenitor cells give rise, through a stepwise process, to endocrine, acinar and duct cells. 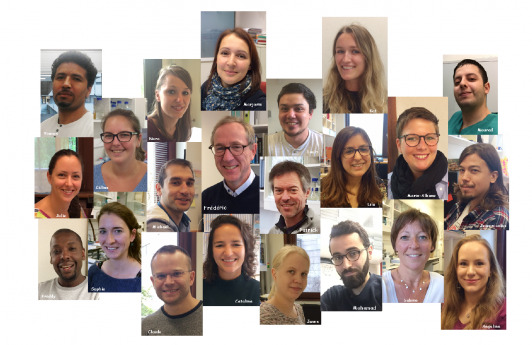 Our group investigates the molecular mechanisms that control the maintenance of the differentiated phenotype in adults.